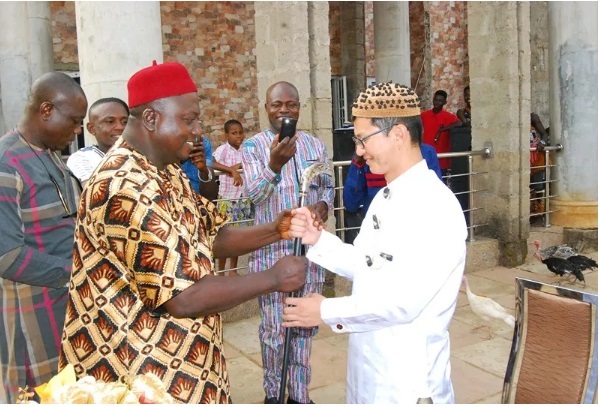 A 27-year-old Chinese man identified as Li Manhu has been made a chieftain of a local tribe by a monarch in the eastern part of Nigeria. The young Chinese man who works in the administration and communication department of a bridge project undertaken by Chinese constructor CGCOC Group, told Xinhua News Agency that he received the title thanks to the king’s recognition of his company’s contribution to the local community. Li is in charge of the salary payment of over 200 local workers, and is also responsible for the communication between the project and local communities. With his new title, he can, on behalf of the king, better manage the relations between the two and guarantee the project will run smoothly. Ye Shuijin, general manager of CGCOC Group’s Nigerian branch, explained that the company has completed over 500 projects in the country over the past three decades. The company lays great importance not only on project quality and execution, but also on its integration into local communities and its due social responsibility, the general manager said, adding that this is why the company has earned such a good reputation among locals. Li noted that although he was more like an honorary chieftain, who would not directly participate in the daily management of the tribe, this title would still bring him and the local community closer. “What comes with honor is responsibility,” Li said, adding that he could feel the weight of this responsibility on his shoulders, and that he would serve as a bridge between Chinese and Nigerian people. 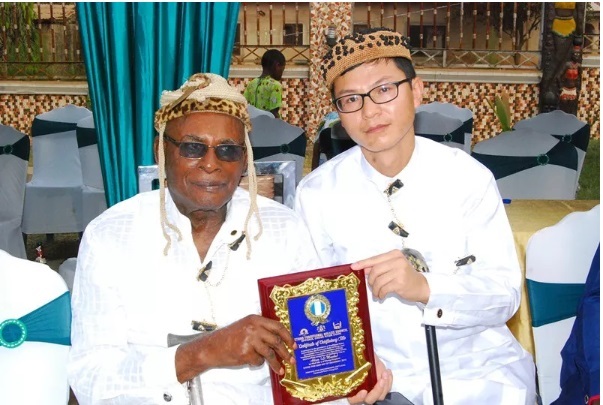 The post 27-Year-Old Chinese Contractor Receives Cheiftancy Title In Nigeria (Photos) appeared first on Naijaloaded | Nigeria's Most Visited Music & Entertainment Website.